New York utility Orange & Rockland has issued a request for proposals (RFP) seeking a microgrid of up to 17 MW to serve as a non-wires alternative to a substation upgrade in Orange County. Proposals are due March 7. The Consolidated Edison subsidiary seeks business partners to offer a microgrid that employs solar panels, fuel cells, energy efficient equipment, batteries or other distributed energy resources at multiple locations. The microgrid must maintain reliability for the 5,125 customers (4,914 residential; 211 commercial & industrial) served by the Blooming Grove substation. Microgrid developers may market distributed energy to utility customers as part of the project. Orange & Rockland will use a range of considerations to evaluate the microgrid proposals. Some listed in the RFP include total and peak cost, viability, technology maturity, functionality, environmental impact, timeliness, feasibility and developer qualifications. 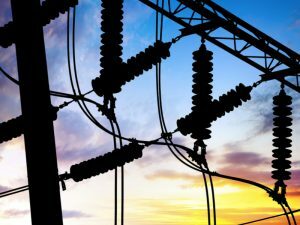 The utility said it is interested in proposals that offset costs by leveraging revenue streams from the wholesale market or other sources. It also would like to see proposals “go above and beyond” in finding ways to reduce customer bills, including possibly upsizing the microgrid’s energy storage to participate in markets that offer revenue streams. 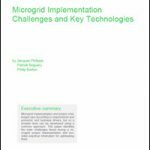 Proposals should include microgrid controllers that operate remotely and integrate into the utility’s existing energy management system and distribution supervisory control and data acquisition system, according to the RFP. The utility also requires that the microgrid operate within 60 minutes of verbal communication between the parties during a grid outage. Generators must have blackstart capability. The RFP describes community impact as “of key importance.” So proposals must show how the microgrid will affect the community — both positively and negatively — in terms of such factors as greenhouse gas emissions, waste streams and management, job creation and community disruption. The utility is pursuing a 10-year microgrid contract in lieu of upgrading the substation’s existing single transformer bank with two 35 MVA, load tap changer banks, according to the RFP. The proposal is part of a larger mandate by New York regulators that utilities seek non-wires alternatives in keeping with the state’s Reforming the Energy Vision (REV) campaign to foster distributed energy resources. The utility sees the microgrid as a way to maintain system reliability, defer construction of infrastructure and reduce emissions from power plants. To submit a microgrid proposal for the Blooming Grove substation, contact Michael Heaton, heatonm@coned.com. See the RFP on Orange & Rockland’s website. A pre-bid conference is planned for 1 pm EST, January 17. Orange & Rockland has identified other opportunities for non-wires alternatives and plans to release additional RFPs. Track non-wires alternatives here on Microgrid Knowledge. Or subscribe to our free newsletter. I live in New City New York in Rockand County and O & R wants to expand a temporary substation in a residential area. Why can’t they look into wireless hear? I meant to write why are we being saddled with this permanent substation when their are other potential new ways to safely increase electricity here.